Namecheap Review (2018) - Hosting Plans, Ratings, Pros & Cons, More! You are here: Home / Reviews & Comparisons / Namecheap Hosting Review – Everything you need to know! Namecheap Hosting Review – Everything you need to know! Namecheap started out as a domain hosting company back in 2000 and it has since built its reputation on providing amazing domain hosting services. They have also expanded into web hosting services where they are beginning to make a new name for themselves but this article will exclusively review namecheap domain hosting because it’s impressive enough that it deserves its own dedicated review. A namecheap review that doesn’t talk about its amazing domain hosting services is difficult to write. And I know because I wrote another review on their newer web hosting services and still found myself singing the praises of their domain hosting options! One of the most common tricks in domain hosting is to give you an extremely low first year price to get you to sign up and then jack up that price when you renew. But even the renewal pricing for Namecheap is very affordable. You can get a .com domain for just $10.29 per year. Their account page is easy to navigate and unlike a lot of their competitors, they don’t constantly try to upsell you every stage of the process or clutter your page with offers you aren’t interested in. And the interface where you actually manage your domain names is very intuitive. You have all your options lined up in a tidy sidebar so that the whole page isn’t cluttered. More importantly, it is extremely secure. So far, namecheap’s domain manager has never been hacked and not all of its competitors can say the same thing. They also include privacy protection in their hosting plans so you don’t have to buy it as an extra feature. With every domain registered on Namecheap, you get one free year of their WhoisGuard privacy protection service. And after that free year, it’s just an extra $2.88 per year to keep it. You also get a first year discount on the Comodo PositiveSSL certificate. And every account includes important security notifications sent directly to your email. CLICK HERE TO TRY NAMECHEAP TODAY! If you’re looking for the absolute cheapest deal right now and don’t plan to keep your domain for more than a year, you can find other domain hosting services that have lower introductory prices and since you don’t need to renew, it doesn’t matter what those other services would charge for a renewal. So NameCheap is not necessarily the first choice for short term domain hosting. And if you’re a fan of bells and whistles, you might feel a little disappointed in NameCheap’s offerings. They focus on the more technical and practical features that you really need. But sometimes, what you need are those fancy extras. And in that case, you might want to consider another domain hosting service. Your domain name is the first thing people see when they visit your site so you need to make sure its registered and secured. Namecheap offers introductory rates as low as just 88 cents for the first year. The 88 cent options are not .com or any of the other big ones but you can choose from options like .info, .pro, .club, .men, .us, and so on. For some of these, even the renewal year price is still just 88 cents! For premium domains, like .com, the introductory year is $8.88. If you sign up for a multi-year contract, you can maintain a low annual rate. For example, registering the domain for 5 or more rates will lock down an annual rate of just $10.29! If you want to bring your domain over to namecheap, they make that very easy. All you have to do is check the domain eligibility suing their search database. Then, if it is eligible, you just input a little more information and click confirm! They’ve even got specific guides for how to transfer your domain from a few of their different competitors. Creating a website for yourself is one of the most important parts of branding yourself. With a personal domain, you can send and receive emails from a personalized domain email! Imagine seeing “[email protected]”! This gives you a very professional look, increases your visibility, and preserves your reputation. It’s also completely essential if you’re trying to market yourself or even your business. A personal domain shows the audience that you are professional, legitimate and reliable. This review and others will tell a similar story. NameCheap is a solid and dependable company for your domain name needs. They provide a great service, an easy to use and uncluttered domain manager and give you the security and protection that you need to keep your domain safe. And with the NameCheap's web hosting services, they can also help you build and manage the website that goes along with your domain name. And there is something to be said for being able to manage everything all through one highly trusted service. But before you make your final decision be sure to check out another NameCheap domain reviews that provides detailed information and expert analysis. MDDHosting Review (2019): Is This the Ultimate Hosting Platform? 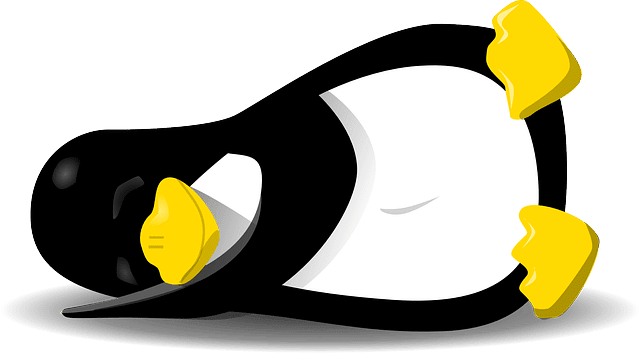 Top Linux Hosting Providers – Reviews. Pricing, Ratings & More! WordPress.com vs WordPress.org: Know the Differences or Suffer!